Olympic National Park really surprised us. Being East Coasters and with the park way out on the Olympic Peninsula (the farthest possible point west in the continental US), this amazing place doesn’t get the publicity that it deserves compared to some of the other big boys like Yellowstone and Yosemite. 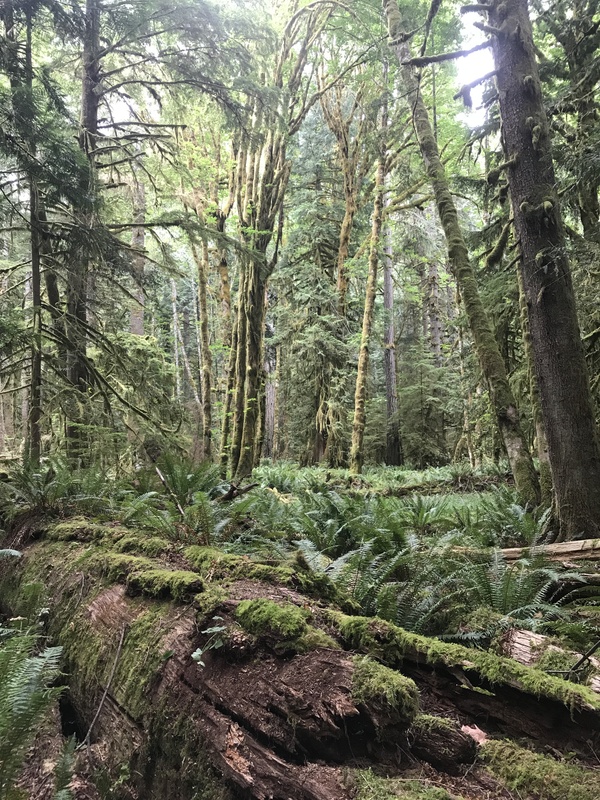 The park has it all – big vistas, old growth forests, hot springs, cozy campgrounds, tidal pools, banana slugs, quiet lakes and it’s so big that none of the attractions felt crowded. Over the course of four days, we felt like we saw so much, but we only visited a tiny fraction of the park. If you have to visit one National Park, Olympic gives Glacier a run for it’s money (we haven’t been to Yosemite yet, that’s coming up in August). An ideal trip would be, spend a couple of days drinking coffee and IPAs in Seattle and a couple of days detoxing in Olympic. Just make sure you make that trip during the summer. Olympic gets 12 feet of rain a year (it has a rainforest) and even during our time in July, we had to run the heat at night. Also, pick a campsite in the sun. There is so much moisture in the air that our trailer felt wet for days. Having your house feel like a soggy sock is a small price to pay for this incredible park experience.